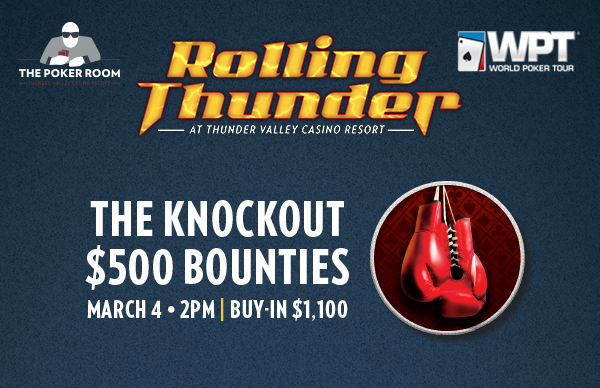 The next $1,100 in the @WPT Rolling Thunder series takes place at 2pm Sunday - and this one puts a $500 Bounty on each entry. Start with 20,000 stacks and play 30-minute levels for the entire tournament. Registration and a single re-entry per players is available until the start of Level 10 at about 7:05pm.